Join us as we bring alumni back to campus for an hour presentation. Each session will feature a Q&A followed by a short hosted reception. This month we will be hosting Ron Broide, Ph.D. Alum ‘95. 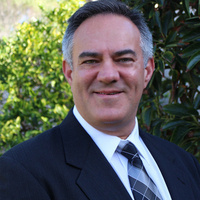 Dr. Ron Broide holds a graduate degree in Pharmacology and undergraduate degree in Biology/Psychology, all from the University of California, Irvine. He is currently a Director of Neurotoxin Research at Allergen Pharmaceuticals.